Holidays are important. You get in touch with yourself. You take a break from routine. You try out something new. You get re-acquainted with something old. But no matter what fills in your respite-time, it always gets more enriched with some reading. Depression alert! This book can fill you with slow loneliness that can be very hard to shake off. But, oh, what a book! It’s a story of a young girl from a small town who wins an internship as a writer with a fashion magazine. Her days in big, bad New York are educative, yet disorienting. After her internship is done, she moves back home and waits for her acceptance to a celebrated writing program. It doesn’t come. Then begins the girl’s slow descent into neurosis and ultimately, her bitter-sweet triumph. Sylvia Plath is known for her evocative, disturbing poetry. 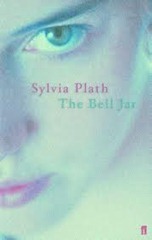 ‘The Bell Jar’ was her only novel. When you read passages where Plath describes the girl’s plan to commit suicide in the bathtub or her equation with a needy lover, you wish that Plath would have written more. The pain just bleeds on to the pages. This book was banned for a spell because the man who shot John Lennon was holding this book at the time. Of course, the ban was excessive but there is something about the way this book is written – it is so hauntingly true that it drives you to combat nothingness in some way or the other. This is the coming-of-age story of a teenage boy, Holden Caulfield. He belongs to the rich upper crust and goes to a plush boarding school – Penny Prep in Pennsylvania. He has incidents of alienation and boredom, finds everyone ‘phony’ and, like any true adolescent, wonders if this life is as good as it gets. One day, Holden is expelled from school and he leaves for New York. Although his parents live there, he decides to check into a hotel for a few days. What follows are encounters with a prostitute and an ex-girlfriend, meetings with his younger sister, conversations with his high school teacher, and an afternoon of aimless wandering in the city. Salinger writes about each of these events with such depth and perspective that you come to believe that this could very well be your story. There’s a part in the book where Holden describes a good writer as someone you would want to be friends with. If Salinger lived in the age of Facebook, let’s just say he’d be confirming a million requests. It was once said that you could read Hemingway without ever having to look up a dictionary. This statement was meant to be a disparaging remark by a fellow author. However, it succinctly explains Hemingway’s genius. The man can explain shades of the soul so simply, it’s alarming. ‘Old man and the sea’ is about, well, an old man (Santiago) who spends his days shucking oysters, drinking in a tavern, and dreaming of sand lions. He has been unable to catch a fish for 84 days now. On the 85th day, confident of breaking his unsuccessful stint, he goes into the sea. The story then goes on to describe how Santiago catches and reels in a really big fish (it’s a two day affair.) Over these days, a storm ensues and the man develops a growing admiration for the fish. Even though both of them are, in a way, battling the elements, Santiago notices the quiet honor in the fish’s fight for survival. “There was no panic in his fight”, Hemingway writes. The story is rife with symbolisms. Yet, it’s a simple story to read and a beautiful one to remember. The story is set in a place called ‘Q’ that, Rushdie describes, ‘is not quite Pakistan’. (So, of course, it is.) The protagonist is a rotund man, Omar Khayyam, who shares none of the munificent poetic slants of his namesake. (Rushdie loves tricks like that). The story of his origin is what makes ‘Shame’ such a compelling read. In the fictitious land of ‘Q’, there are 3 sisters who live in a walled fortress. Their father is strict and insulates them from the world. The sisters grow up being tightly united with one another. One day, the old man dies, the sisters throw a party, and one of them gets pregnant. Who? Non-one knows as all three of them grow swollen bellies during the course of their pregnancy. When Omar Khayyam is born, he is seen suckling at all three bosoms. Then one day, Khayyam wants to step outside into the world. His mothers decide to prepare him for what could befall him. They forbid him from feeling a searing, loathsome, defeatist emotion; an emotion that weakens and atrophies, an emotion that kills the self. Khayyam’s mothers forbid him from feeling ‘Shame’. The story then unfolds on how Khayyam’s shamelessness leads him to make ruthless choices. Interestingly, he lives in a world where equally ruthless choices are made in the garb of shame itself. 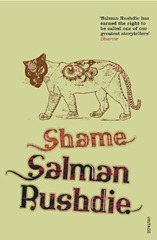 Rushdie is marvelous in this book. If imagination were a body, he goes for the jugular right away. Take this book even if you are retreating into a cave, renouncing this world forever. Martel straddles an impossible story with a believable tone superbly. If salvation could come in the form of a paperback, it would be this one, right here. Pi is a young boy in Pondicherry. He is a zoo keeper’s son and is enthusiastic about practicing all religions. One day, his family sets sail to resettle in Canada and take along many zoo animals with them. However, crisis strikes and the ship sinks. Certain events occur and we find Pi afloat a lifeboat with an orangutan, a royal Bengal Tiger, a hyena, and a giraffe. Martel basically writes a story of survival. But it’s not just the survival of a physical or even a human body. It’s the survival of something deeper – an instinct, a spirit to carry on, undying faith, and a grasp of all that is noble. Life of Pi is a brilliant eulogy to life itself – an entity more vast and bizarre than the Pacific that Pi sails across. I like ur site and everything you do.